surrounding it. Creswell is a small former mining village on the border of Nottinghamshire, Derbyshire and South Yorkshire. 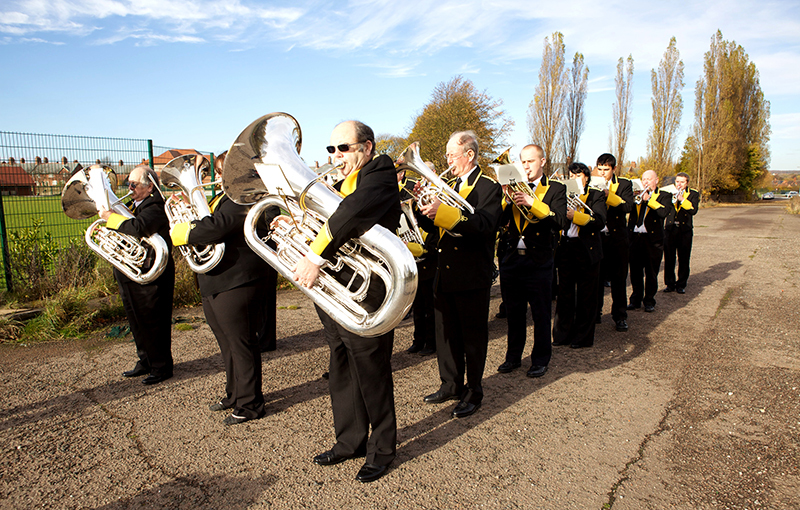 The Bolsover Mining Company sunk the pit in 1896 and the band was formed shortly after by all accounts. the eyes of band members. ‘Underground Music’ is the result of a commission by Junction Arts and Limestone Journeys and was made in autumn 2012.